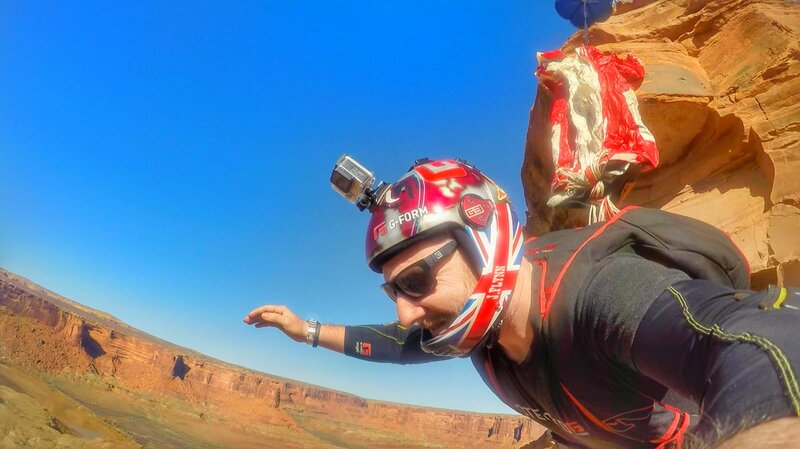 We’re proud to announce that World Champion BASE jumper and skydiver Jamie Flynn has signed on to become a brand ambassador of Bob’s Watches. The 29-year-old Englishman is also a veteran of the British Army where he served for eight years in the Parachute Regiment including several deployments to Afghanistan and Iraq. As an official part of the Bob’s Watches’ family, Jamie will be wearing a Rolex watch furnished by us on all of his action-packed activities. Although it’s hard to imagine now, Jamie was not at all an adrenaline junkie in his younger years—he even admits that he was too scared to ride on roller coasters! He applied to the Parachute Regiment not thinking that he would pass the course. But he did and his first skydive was out of a C-130 Hercules at 1,000 feet. In 2006 he was deployed to Afghanistan with the 3rd Battalion Parachute Regiment and continued his military career until 2011. Parachute deploying during a 450ft jump in Moab, UT. Jamie is now based in Vancouver, Canada but is always traveling around the world as a professional BASE jumper and skydiver. In 2012, Jamie won the Extreme BASE Jump World Championships in Spain. From Asia to Europe to South America and everywhere in between, there’s no spot that Jamie won’t go to conquer a new jump. 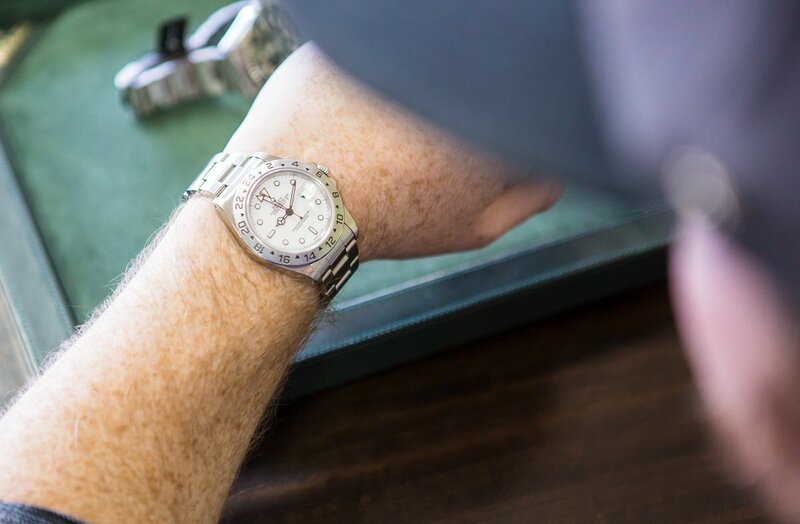 Selecting the Explorer II as the right Rolex for Jamie was easy-after all the Rolex Explorer was built specifically for adventurers and explorers. Not only is the Rolex Explorer II robust enough to keep up with Jamie’s high-energy lifestyle, but it can also keep track of two time zones simultaneously while he’s jetting off to exotic locations. Its stainless steel construction can withstand extreme conditions—even if that means plummeting at more than 120mph during one of Jamie’s epic jumps. Plus, its large white dial with luminescent hour markers and hands means he can always tell time even while scaling mountains in the dark. 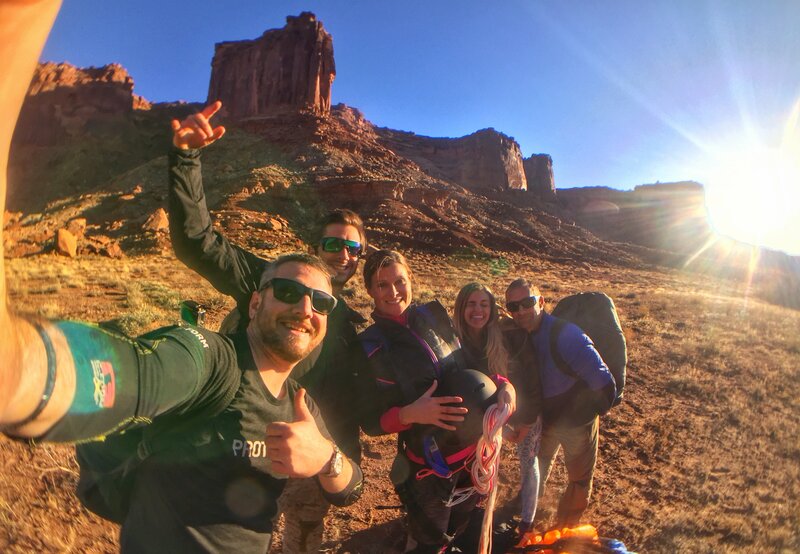 Jamie Flynn and his friends right after they jump 450ft in Moab, Utah. 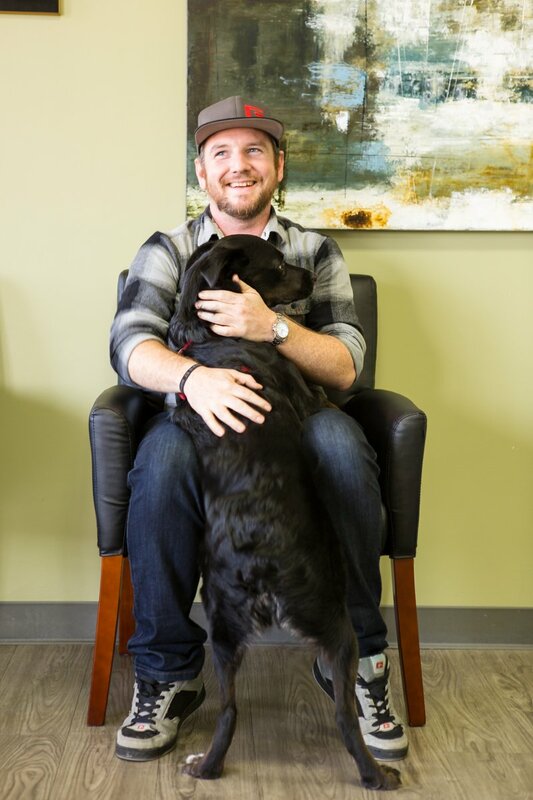 Jamie’s drive, passion, and pursuit of excellence makes him the perfect fit to join the Bob’s Watches team. He embodies the exciting world of the Rolex lifestyle and we are thrilled about our new partnership with the veteran and adventure-seeker. Tag along with Jamie on his adventures by following him on Instagram (@jamieflynnbase) where you can see him jump out of airplanes, off of building, and from the tops of mountains while wearing his Rolex from Bob’s Watches on his wrist.